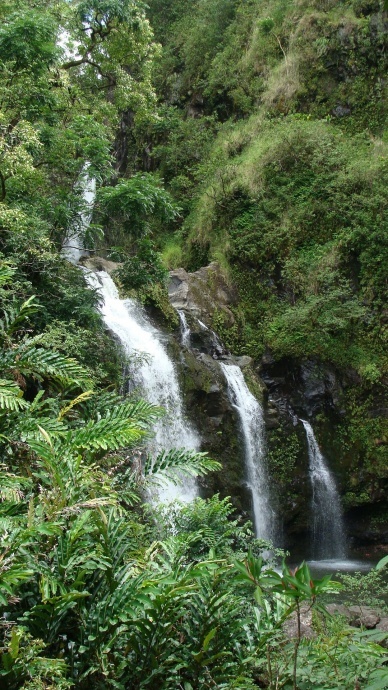 East Maui waterfall. Photo by Wendy Osher. The State Commission on Water Resource Management begins a contested case hearing today on a petition to amend interim instream water standards for 27 streams in East Maui. 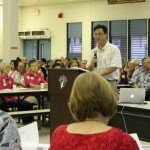 The East Maui discussion is considered one of the largest water rights cases in the state and comes after a settlement was reached in the battle over water rights in West Maui in October involving Waihe‘e River and Waiehu, Wailuku (ʻĪao), and Waikapū Streams, known collectively as Nā Wai ʻEhā, or the four waters. 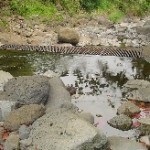 The latest petition includes review of flow standards at the following East Maui streams: Honopou, Hanehoi/Puolua, Waikamoi, Alo, Wahinepeʻe, Puohokamoa, Haipuaʻena, Punalau/Kolea, Honomanū, Nuaʻailua, Piʻinaʻau, Palauhulu, ʻŌhiʻa (Waianu), Waiokamilo, Kualani (Hamau), Wailuanui, Waikani, West Wailuaiki, East Wailuaiki, Kopiliula, Puaʻakaʻa, Waiohue, Paʻakea, Waiaaka, Kapaula, Hanawī, and Makapīpī. 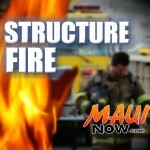 The contested case is the result of a petition filed by Maui Tomorrow and the Native Hawaiian Legal Corporation, on behalf of Nā Moku (Nā Moku Aupuni 0 Ko’olau Hui, Beatrice Kekahuna, Marjorie Wallett, and Elizabeth Lehua Lapenia). The case comes after an earlier decision issued five years ago on May 25, 2010, in which the Commission on Water Resources Management decided to restore flow to just 6 of the 27 streams. 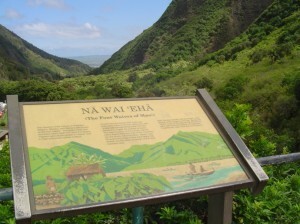 “The interest asserted by Nā Moku was the right to sufficient stream flow to support the exercise of their traditional and customary native Hawaiian rights to grow kalo and gather in, among, and around east Maui streams and estuaries and the exercise of other rights for religious, cultural, and subsistence purposes,” according to state documents. (1) their actual need; (2) that there are no feasible alternative sources of water to accommodate that need; and (3) the amount of water diverted to accommodate such need does not, in fact, harm a public trust purpose or any potential harm does not rise to a level that would preclude a finding that the requested use is nevertheless reasonable-beneficial. Back in 2010, company executives with HC&S had expressed concerns over proposed reductions and worries over economic impacts that reduced water could have on sugar cane cultivation and employment. Meantime, county leaders from the former Tavares administration had also advised commissioners against restrictive instream flow standards at the Waikamoi Stream in particular, saying the severity of the impact would affect nearly 10,000 Upcountry water users. Since the East Maui case involves public trust lands, discussion over commercial use and overall benefit to the community lies in the balance. The hearing is expected to continue for the next several weeks.